A lot of Canon camcorders record videos in MTS/M2TS format, such as Canon HFS10/100/200, Canon HR10, Canon HG10/21 and so on. MTS/M2TS format is hard for users to play, edit or share. Therefore, a majority of Canon users choose to convert Canon MTS/M2TS files to other more popular formats like WMV, AVI, MP4, FLV etc. In this way, they are able to play Canon MTS/M2TS files in any place they want or conveniently share their footage files with family or friends. 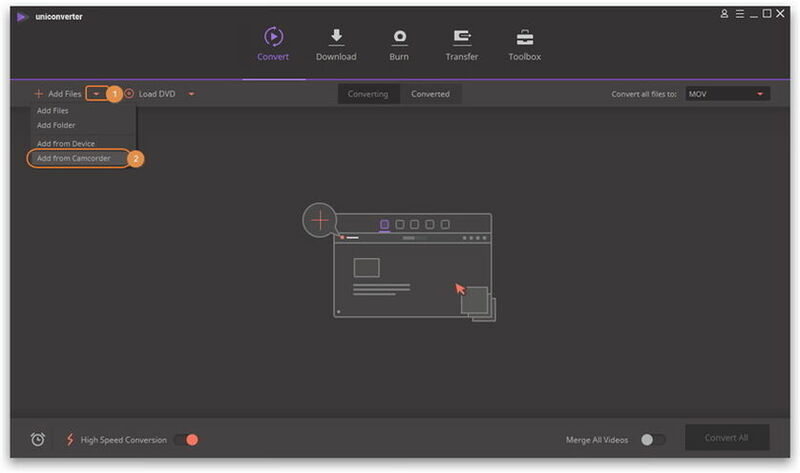 This article mainly focuses on how to convert Canon M2TS/MTS files with Wondershare Video Converter( Wondersahre Video Converter for Mac). 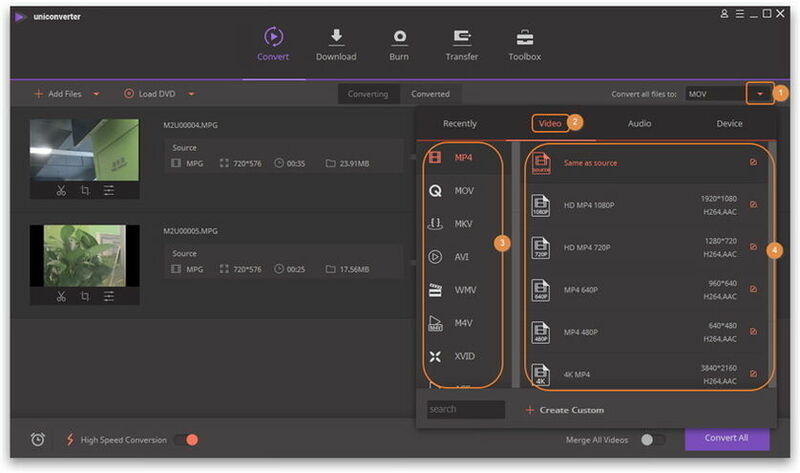 It's a wonderful Canon video converter that lets you convert your Canon files to almost any format quickly, easily and in high quality. Also, it directly offers you lots of optimized formats for most popular devices like iPhone and applications like Windows Movie Maker, so you can convert Canon files to fit these programs best with ease. By the way, you can also do some cool editing jobs directly in this Canon MTS converter if you want to edit Canon MTS/M2TS files. 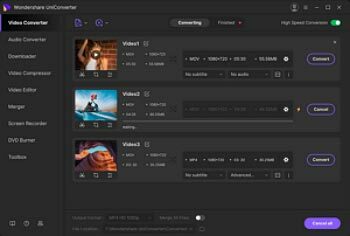 This feature is very helpful especially when you convert files just for importing to some video editor for editing, for it'll greatly save your time. Next, I'll teach you how to convert Canon MTS/M2TS files in detail. Before doing this, you have to transfer MTS/M2TS files from your Canon camcorder to your computer. Step 1 Add Canon MTS/M2TS videos. To import your local MTS/M2TS files to this app for converting, you can click Add Files icon to browse your computer and select the files you want or click Add from Camcorder to add files from your Canon camcorder. Alternatively, you can try another way to import your files. That is to simply drag and drop the Canon MTS/M2TS files from your PC to this program. 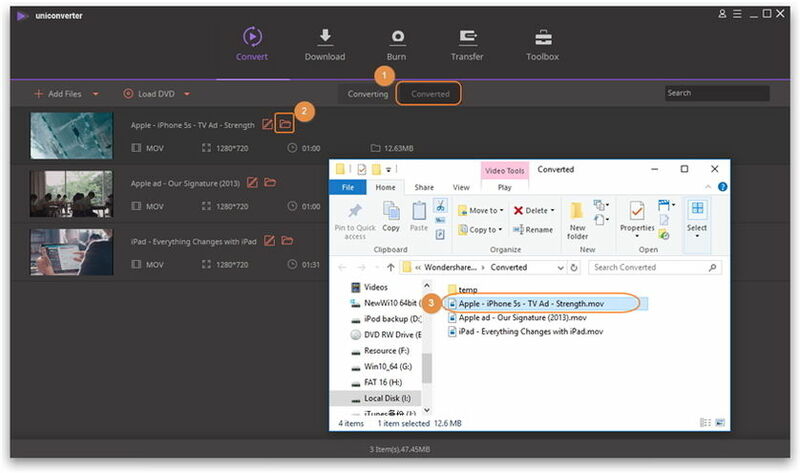 Note: If necessary, you are able to change your file name, re-arrange the order, click the video thumbnails to preview imported videos, even merge all videos into one file. Step 2 Choose a format or device as the output format. To convert Canon MTS/M2TS files to some format, you can choose the format you want in this app's output format list. But if you want to convert Canon files for playback on some device, you can directly choose the device as the output format. The optimized output format for the device will absolutely fit your device best. To pop up its output format list, just click the inverted triangle beside Convert all files to to enter the output format pane. Next, you can go to Video category to select the format you want exactly. Or click the Device tab to find the category which your device belongs to, and then select the specific device. This app can meet your basic video editing requirements, say, trim, crop, rotate videos, and add vdieo effects, subtitles etc. In the video item bar, you just simply click the one of the Edit options and then you can access various video editing tools. Just start your editing project now! Step 4 Start converting Canon MTS/M2TS files. Convert your Canon files by clicking the Convert All button at the lower-right corner of this program window. Immediately, you can see the green bars that shows you the conversion process. When it's done, you can go to Converted tab and tap the fold icon to find where your converted files are saved. Just feel free to play, edit or share your Canon MTS/M2TS video files now!